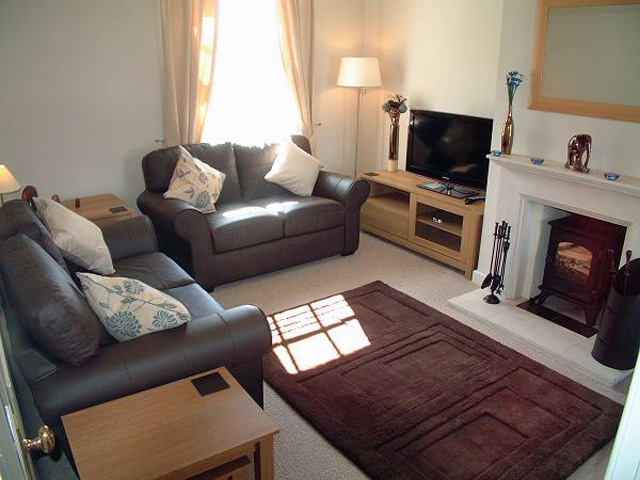 Sleeps 5 - Wifi - Log Burner - Pets welcome. Whitestone is situated in a commanding position with panoramic views of the Spey Valley and beyond. 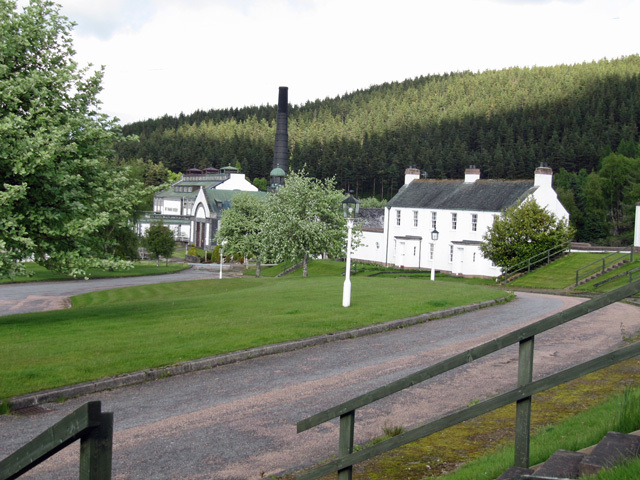 The property adjacent to Tormore Distillery is one of 13 distinctive cottages originally built to house the employees. Tormore was the first new distillery to be built in the twentieth century, and to this day still produces excellent malt. The buildings are architecturally quite striking and have listed building status. An unusual feature at the distillery is the musical clock, which plays different Scottish songs periodically during the day. The property itself has been tastefully furnished and equipped to a high level by the present owners. Downstairs it consists of a comfortable sitting room complete with leather sofas, oak furniture and a multi fuel burner, this room is spacious and light due to the dual aspect windows at the front and the rear of the room. In addition you will find a spacious dining kitchen, with direct access to the pretty garden with private patio area at the rear. 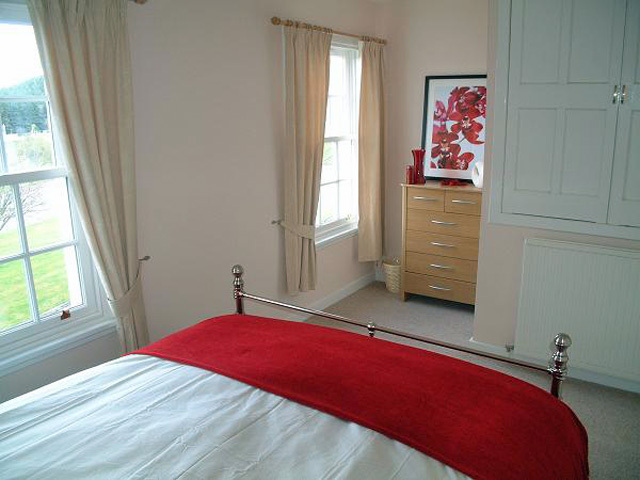 Upstairs to the front of the property you will find the master bedroom; this room complete with a king size bed and the twin bedroom both have panoramic views of the surrounding countryside. 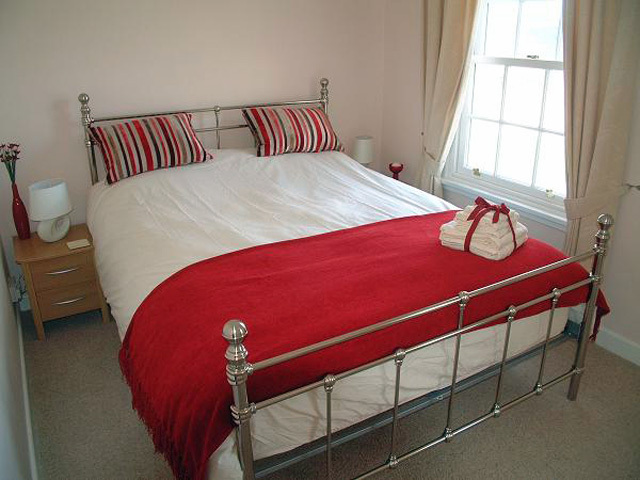 To the rear of the property a single bedroom and a family bathroom completes the facilities. 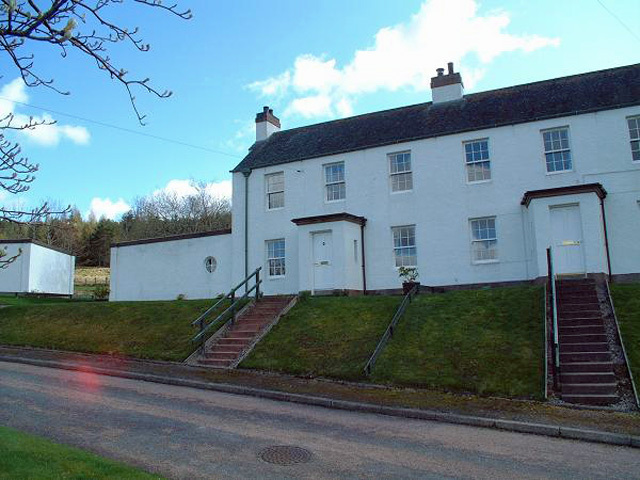 The property is situated in an ideal spot for the outdoor enthusiast; it is situated on the edge of the Cairngorms National Park, the Park the largest of the National Parks in Great Britain has something for everybody, extreme sports, sailing areas, castles and many areas for walking and climbing. It is also home to a diverse range of rare wildlife including wild cats, ptarmigans and ospreys, and one of the largest tracts of woodland in the UK. The nearest villages and small towns are Ballindalloch a 5 minutes drive, home to a marvelous castle, and within 15 minutes Aberlour and Grantown on Spey. Grantown the largest of all three has a small selection of shops, restaurants and pubs. As with many other areas in the highlands during the summer months the town hosts an annual Highland Games. This spectacle is an ideal day out for the visitor in the area, the sights and sounds of Scotland will certainly be on display, from the traditional dancing to the sounds of the bagpipes, and usually there will be various outlets selling the best of the local produced food and drink from the local breweries. 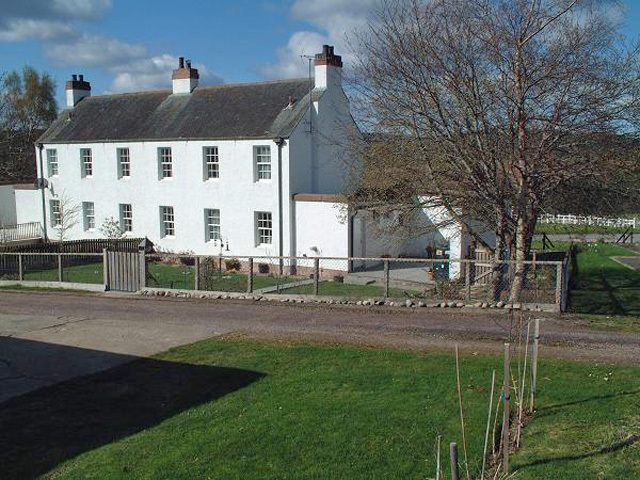 Revak Estate is a short drive from the property, the estate has many miles of woodland walks, an ideal spot to walk and look out for the local wildlife, together with various gardens, orchid houses, and landscaped grounds. In addition the estate has a child’s playground, a gift shop, and a licensed restaurant. For the fishermen among you the estate also has a stocked fishing area. Located in the same vicinity of Revak is the Spey Valley Smokehouse. The smokehouse sells a wide range of gourmet salmon products, and has a viewing area where you can view the traditional salmon smoking process. For the lover of whisky the property is located on the Malt Whisky Trail, this world famous trail around seven distilleries, including a visit to the only working cooperage in the UK at the Speyside Cooperage. The cooperage produces oak casks for distilleries throughout the world, from the best American Oak. The craftsmen still using the traditional tools and methods handed down from their ancestors. The Cooperage also has the facility to allow you to get hands on and produce a mini cask in the demonstration area, and a gift shop and coffee shop to relax in. Other places located close by and well worth a visit include the RSPB Reserve at Loch Garten. The Reserve an ancient Caledonian Pinewood is home to the magnificent Osprey, and with the latest technology the birds can be viewed at close range through non invasive CCTV. For the walker the Speyside Way, a 65 mile route from Buckpool on the Moray Coastline to Aviemore is available. The route follows the course of the River Spey and can be divided into sections. A good choice being the seventeen mile route from Aviemore to Grantown on Spey, this is popular as you are following the flow of the Spey and you are walking away from the sun rather than towards it. Large open plan kitchen/dining area. 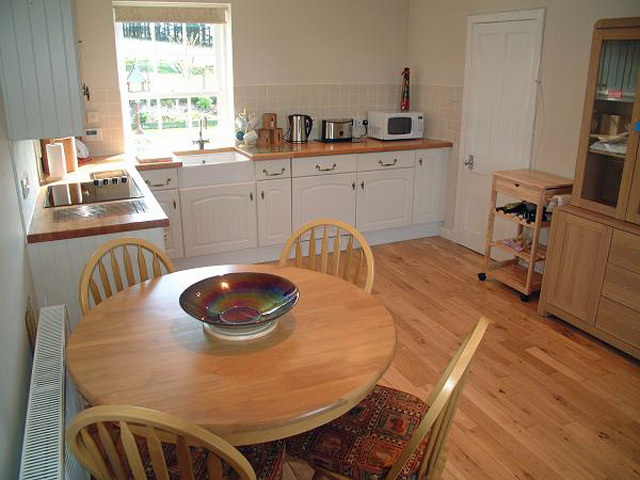 Electric oven and hob, microwave, dishwasher, fridge, washing machine, tumble dryer and all the usual kitchen utensils. Ironing facilities and outside drying area. Dining area with table and seating for 6. Access from the kitchen to the pretty garden which is very private and has a patio and lawned area. 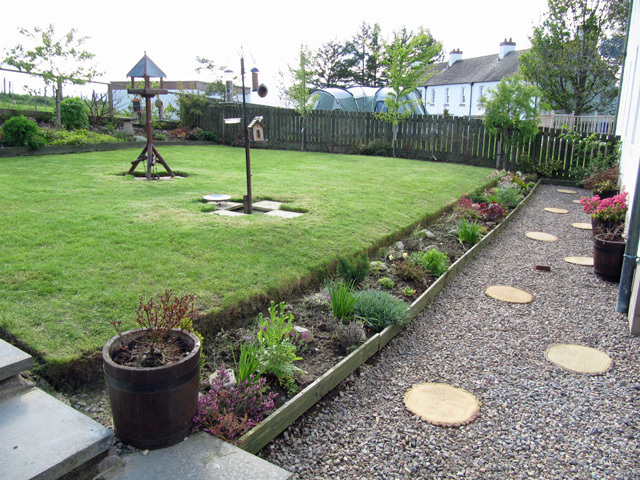 The garden is bordered by plants, shrubs and trees and attracts plenty of wildlife, if you keep the bird feeders full you will rewarded with hours of entertainment. 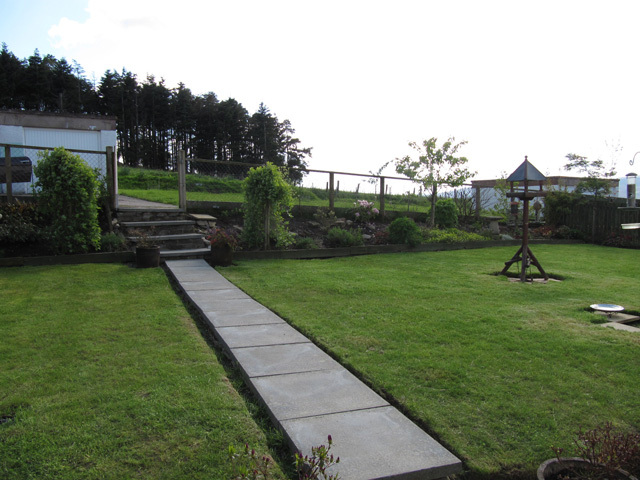 The garden allows rear access to the property ideal if returning after a wet day with the dogs. To the back of the property is a boiler/drying room which houses a freezer and is ideal for drying wet clothes and dogs. You can access this from either the kitchen or the garden. 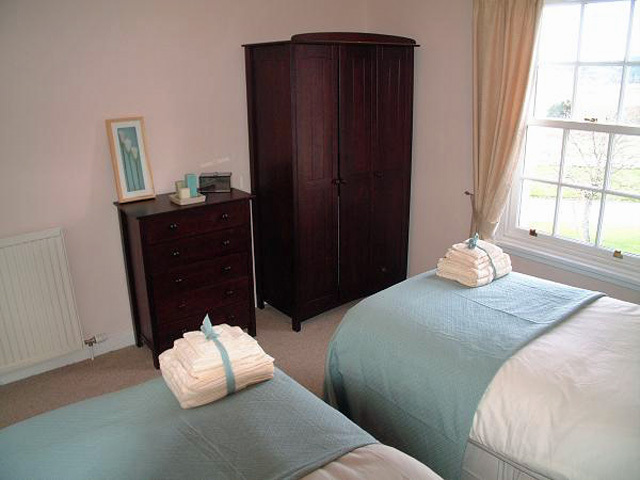 The master and twin bedrooms have panoramic views to the front of the property over the local countryside and all the bedrooms have plenty of storage. 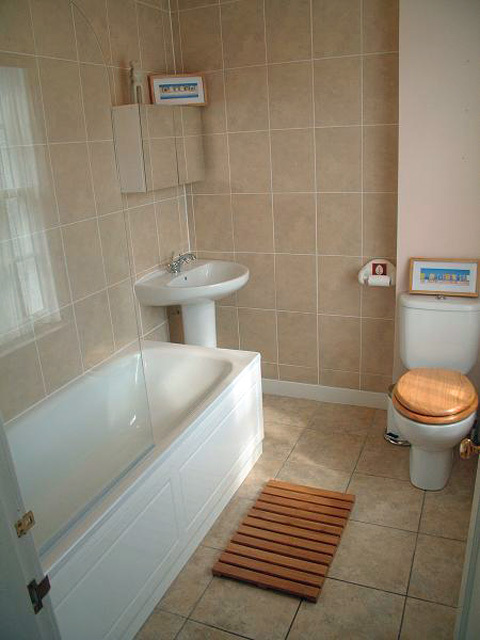 Family bathroom with bath and shower over, whb, wc and heated towel rail. Electricity and an initial supply of coal/logs for the wood burner. Extra can be supplied at additional charge. Two pets are welcome - please phone if you have more as the owners may allow extra. 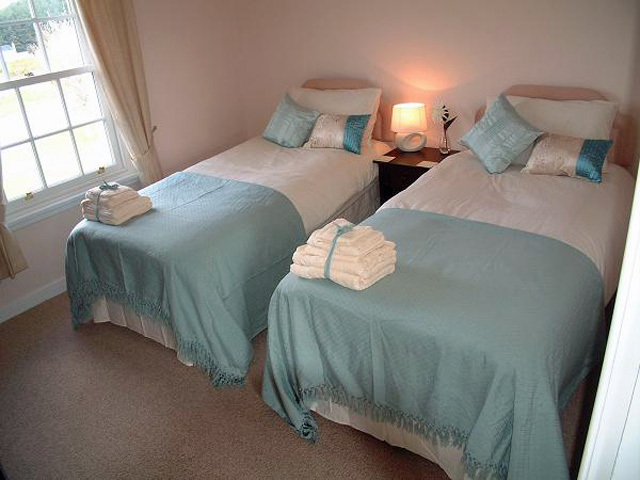 Situated on the edge of the Cairngorms National Park. Speyside way runs by the house. A variety of activities available within the local area, including, skiing, fishing, water sports, golf. Salmon fishing available on the River Spey. Wonderful house , home from home . The kitchen was very well laid out loved the pantry. The house is set back off the A95 At first worried about the traffic noise but in the end not a problem and even became quiet comforting . Did lots of day trips and found the Cairngorms breathtaking. Defo will be back and the 7 hour journey worth it . 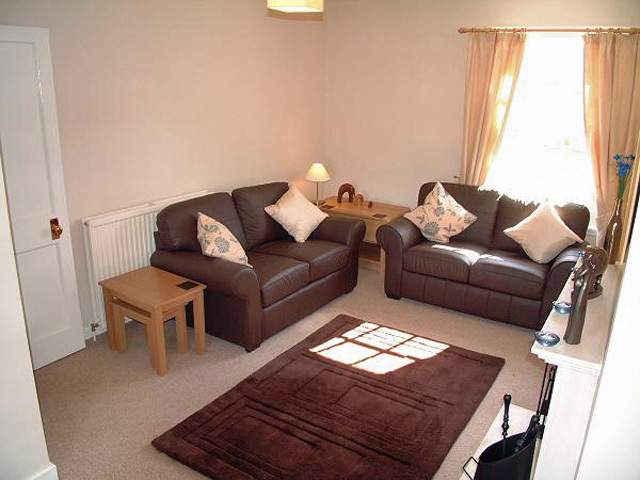 Whitestone is a very comfortable house with everything you need for a nice relaxed holiday. 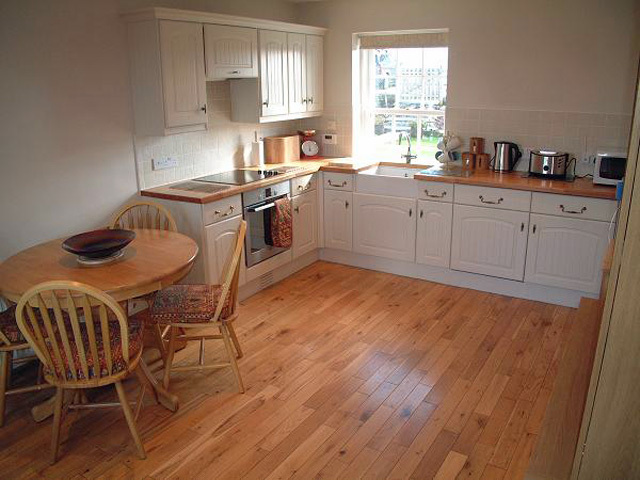 Lovely well equipped kitchen/dining room, cosy sitting room with wood/coal burning stove, T.V. etc., comfortable settees. We bought coal and kindling wood and lit a fire every evening, weather was dry but cool. Modern bathroom with shower over bath. Beds comfortable. Outside is a small garden and sunny court yard, a pine marten came visiting one evening. We enjoyed the holiday and visited nearby castles, also RSPB reserve at Loch Garten, saw the ospreys. Ballindalloch castle just up the road was lovely, beautiful house and gardens and river walk. Would recommend Whitestone. We stayed in Whitestone in February 2013 and loved every second of it. This cottage is peaceful, nicely decorated and the garden is superb for wildlife - red squirrels on the bird feeders: almost guaranteed if you keep the feeders topped up! So funny to watch their antics. There is so much to do in the Cairngorms and surrounding area, even in winter. We didn't have time to do it all and will surely be back in the future. 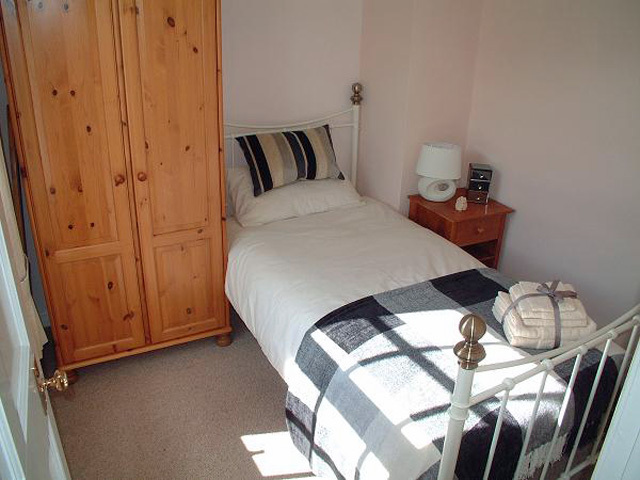 A lovely immaculately clean, comfortable and well enquipped cottage. Ideal for us 4 adults, 1 child and 2 dogs. Enclosed garden to keep the pooches safe too. Will hopefully return. a lovely cottage everything you need available. Wild life fantastic.many places to visit locally. Would recommend Whitestone cottage would consider using again. We had a great time we were there for 2 weeks, cottage and setting wonderful, kids loved it, so much to do Elgin, Aviemore, Cairngorms, Tomintoul Highland games, steam train, Landmark Park, to name but a few of our activities. The red dear continues to make her nightly appearances, thank you so much. Great stay at Whitestone for a long weekend. The house had all we needed: was in excellent condition, clean, had all the utensils and equipment for our stay, was quiet, and easy to find. Would certainly consider a return visit! Stayed in the Whitestone cottage for a week. It was well maintained and the views where wonderful, everything that you needed was available. What made the week was the daily visit from the young red deer and his friend plus the pheasant family, along with the variety of birds. There are lots of places to visit, but you would need to stay a extra week to fit them all in had. We had a wonderful time and would stay there again. Thanks for a wonderful stay.